At Lava Lake Ranch, we pride ourselves on the quality products that we provide to our customers. We guarantee that you’ll love the delectable, rich flavor of our lamb, as well as the health benefits that come with eating free-range meat. We also sell grass-fed beef. So why eat 100% grass-fed animals? What is the difference between them, and grain-fed animals? At Lava Lake Ranch, we believe that free-range fed animals are eating the way that nature intended for them to eat. Our lambs graze over a large landscape, so they are getting a variety of wild-grasses and herbs, as well as staying lean, fit, and healthy. Extensive studies have shown that grass-fed animals are better for you to eat. Because grass-fed animals are on a range, they are getting a variety of different vitamins and proteins, as opposed to grain-fed animals that are kept on a feed-lot for most of their lives. 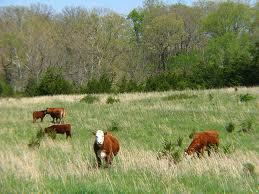 Our grass-fed animals are also never given hormones or anti-biotics so they are USDA certified organic meat. More “good” fats, as opposed to “bad” fats – Grass-fed animals have less total fat in their meat than commercial meats. Because they have less total fat, they also have fewer calories, but the same amount of protein, so you are getting more of what your body needs. They also have 2 – 4 times the amount of Omega-3 fatty acids as commercial meats. Omega-3’s have been proven to be “heart-friendly” fats and can also help to reduce the risk of high blood pressure, heart attacks, and some forms of cancer. People with a diet rich in Omega-3’s are also less likely to suffer from depression, ADHD, schizophrenia, or Alzheimer’s disease. Because omega-3’s are formed in the chloroplasts of green leaves, free-range animals have omega-3’s in their meat because they eat so many grasses. CLA, or “conjugated linoleic acid,” is another “good” fat found in grass-fed animals. This type of fat has been proven to reduce tumor growth in cancer patients, and places women in the lowest risk category for breast cancer when their diets contain abundant amounts of CLA’s. 4 times as much Vitamin E – Grass-fed animals have been proven to have 4 times as much Vitamin E as animals that were solely grain-fed. This potent anti-antioxidant has been linked with a lower risk of heart disease and cancer, as well as anti-aging properties. Being located in the beautiful state of Idaho, our family-owned Ranch sits just southeast of Sun-Valley where the Pioneer Mountains meet the Snake River Valley. Sitting on nearly one million acres of rangeland, owners Brian and Kathleen Bean have been strong advocates for producing healthy and delicious lamb cuts, as well as sustain and preserve the land that they use and promote conservation actions. Because of our landscape conservation efforts, Lava Lake Ranch has received multiple regional and national awards. We have also established the Lava Lake Institute, which promotes conservation and wildlife awareness in the Pioneer Mountain and Craters of the Moon area. Being a non-profit organization, the Institute relies solely on charitable contributions, with which they conduct projects and research studies to improve the area’s landscaping and conservation.